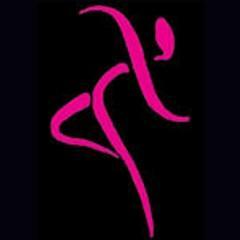 Dance Classes, Lessons, Events & Courses for Pure Dance. We are a unique dance school in Edenbridge, Kent offering a range of dance classes for children aged 2 up. Pure Dance provides a friendly and encouraging atmosphere combined with high quality teaching to nurture our students natural talents and produce well rounded performers. We believe that serious technical training can still be offered in a fun and relaxed environment. Our aim is to develop a love of dance in our pupils; and to help them achieve their goals, no matter how big or small. Dance Studio/School. Dance Styles: Ballet, Tap Dance, Jazz Dance, Irish Dance, Modern Dance, Gymnastic Dance, Contemporary Dance, Junior Dance, Pre-School Dance, Acro, Street Dance, Lyrical, Cheerleading, Hip-Hop. All Entries for Eden Centre Venue. Ballet, Tap, Jazz, Irish, Modern, Gymnastic, Contemporary, Junior, Pre-School, Acro, Street, Lyrical, Cheerleading, Hip-Hop Instruction, Practice. Contact organiser for times and further details. All Entries for Edenbridge Leisure Centre Venue. Car Parking.